Yesterday when I logged into GitHub I was confronted with a friendly and amusing message that suggested I was a robot. My amusement quickly turned into dread and fear when I realized that all of my clients’ accounts were flagged too. And worst of all, all of my clients’ GitHub Pages sites were taken down because of it. I scrambled to find the GitHub support phone number only to find that such a number doesn’t exist. So I emailed support and waited. While I waited I started the process of moving all of my clients’ sites to different hosts, starting with most important client. She gets anywhere from 20-50 visits to her site per day that directly correlate to revenue for her business. Downtime is not an option for her. So I quickly moved her website files to a new server and pointed her domain to the new server only to see that the Time To Live (TTL) on the A record was 12 hours. 12 hours!!!! If you aren’t familiar with A records or TTL just know that her website had the potential to be down for 12 hours and there was absolutely nothing more I could do. Except wait. For GitHub support. Or for this 12 hour clock to expire. I’m a web designer who has only recently begun to take on a steady stream of new clients. I stumbled upon GitHub Pages which is a free static website hosting service for any GitHub user that integrates perfectly with my web design tool of choice, Jekyll. I’ve had each of my clients sign up for a GitHub account, create a repository for their website, and give me permission to add files to their websites. In the case of my most important client mentioned above, she was even blogging with Prose.io. Sorry for the inconvenience, but the activity on your accounts resembles activities which violate our Terms of Service, such as setting up a profile solely for SEO and marketing purposes. Since this activity violates our Terms of Service, we’ll have to keep your accounts hidden for now. If you plan to remove the content, please let us know and we’d be happy to work with you. So I’m violating your terms of service? But you said I was a robot. It’s worth mentioning that before I began using GitHub Pages for clients I did read GitHub’s Terms of Service thoroughly. After receiving the email from support saying I violated their terms by “setting up a profile solely for SEO and marketing purposes” I read through the terms again and found no such statement regarding setting up profiles solely for SEO and marketing. Of course my profile name had to match my website name. It says right there in the documentation that the URL for GitHub Pages must match the name of the profile. Not to mention the fact that the statement from GitHub Support is flawed. 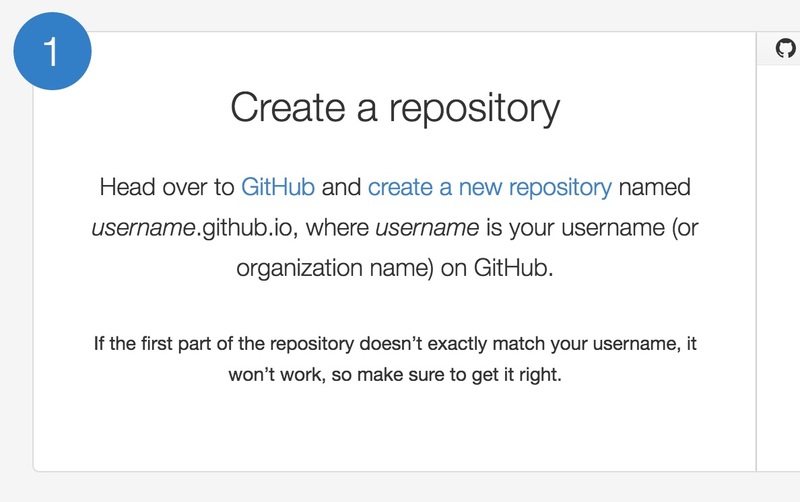 How can GitHub presume to know why I set up my account in the first place? My biggest client’s website was only down for about 2 hours. As of today I have also moved all of my other clients websites and my own website to more reliable website hosting. I get it, GitHub isn’t trying to break into the web hosting business. However, they do need to fix their documentation and their policies if they don’t like what I was doing. Today when I login to GitHub I see the same error message that I first saw yesterday. Nobody else can view my profile or repositories and I can’t contribute to other repositories. This is truly the most unfortunate part of this ordeal. There is such a large community of developers on GitHub and I use it on a daily basis to learn and to diversify my skillset. Now I no longer have the right to contribute because apparently I am a robot.